If not, that’s understandable. After all, your professional schooling and CE courses never taught you how to “sell” your products and services. To the contrary, you were probably taught selling is unprofessional! But the sad reality is, if you don’t get a signed engagement letter you don’t get to practice as a professional. The good news is, you don’t have to suffer through years of trial and error and lose substantial revenue along the way. Because we have arranged for America’s #1 Sales Trainer, Tom Hopkins, to present a 2 part, mind-blowing, incredibly valuable program series, “How to Get More People to Buy From You”. Whether you’re an estate planning attorney, CPA, life insurance agent or financial advisor, you can learn some remarkable verbal tools and techniques that you were never taught in school or in any other CE course - - that will improve your “close” rate, no matter how long you may have been practicing or how high your current close rate may already be! If you don’t “sell”, you can’t practice as a professional! How to simply and effectively get potential clients to like and trust you so that they will want to listen to what you have to offer! How to use “questioning strategies” to gain the information needed to sell the client on using your services or products - - instead of your competitors’! How to carefully work with a prospective client’s “emotional triggers” - - because nobody simply buys logically! 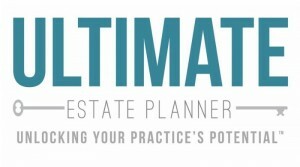 How to control and eliminate the fears that potential clients have about estate planning and doing business with you! Strategies for building rapport and putting potential clients at ease. How to ask for the business! Why you should actually welcome concerns and objections! Strategies for helping potential clients who are “on the fence” to rationalize their emotional decision and make the commitment to go ahead! Think about it…if you were to pick up just one more client from what you learn, these two 90-minute programs will be well worth your investment. Frankly, if you’re not already closing every single potential client that you meet with, you can’t afford NOT to attend this series! Tom Hopkins has earned the reputation of being America’s #1 “How-To” Sales Trainer. Over 5 million salespeople, entrepreneurs, and sales managers on 5 continents have benefited from his live training events. He perfected his selling skills during his 8-year real estate career in which he received numerous awards. In his last year selling real estate, he sold 365 homes – an average of one per day – something that was unheard of at the time and has rarely been matched even today. Since that time, he has developed and customized his proven-effective selling skills for over 250 industries. 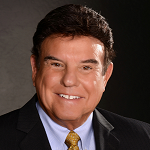 His sales training books, audios, and videos have launched the careers of millions of sales professionals worldwide. His how-to selling skills are proven effective in all types of industries and economic times. Tom has authored 18 books on selling, salesmanship, and success. Over 2.9 million copies of those books have been read by sales pros the world over. He is also the 2013 recipient of the Lifetime Achievement Award from the National Academy of Best-Selling Authors. He has dedicated his life to helping sales and marketing professionals improve their communication skills and increase sales revenues. To learn more about how his nuances of selling can make a positive impact on your career, read his blog: http://www.tomhopkins.com/blog. The programs in this 2-part series entitled, “How to Get More People to Buy from You” can also be purchased individually, if you do not want to purchase all the programs.